Sankt Nikolaus Tag! Saint Nicolas Day! - Super Inky! 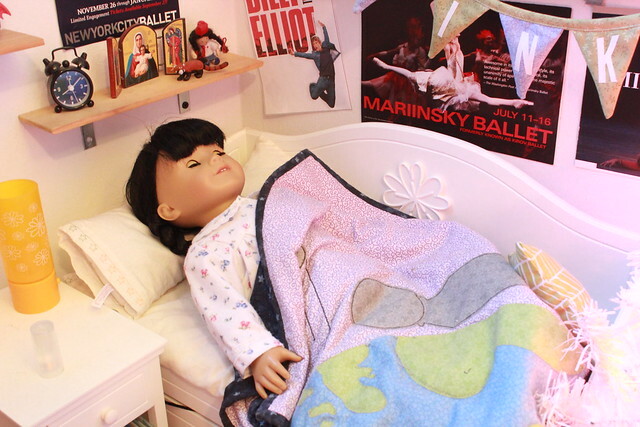 This morning I was sleeping, dreaming about The Nutcracker. All of a sudden, I woke up and remembered! Today is Sankt Nikolaus Tag, or in English, Saint Nicolas Day! My grandfather's name is Nicolas and he always celebrates Sankt Nikolaus Tag. In this holiday, German kids will leave their shoes by the front door and Sankt Nikolaus will fill them with toys or candy. In our family, we leave our shoes by our beds because people will steal them if we leave them outside the door! I got up, being careful not to look down at our shoes, and found Violet. She was fast asleep too! I shook Violet awake and reminded her why we had to wake up so early. "Oh yes!" said Violet. "That's why we sang that German carol last night!" Every year on December 5, we sing a special carol called Lasst Uns Froh Und Munter Sein. The verses end with "bald ist Nikolausabend da!" The lyrics mean "Soon St. Nikolaus Eve will be here." I really like the song. Violet loves to travel and learn new languages, so we had lots of fun as she learned the words. It was time to see what Sankt Nikolaus left me! Oh my, it was a Squishable red fox!! I had just gotten the arctic fox for my birthday so now I had both kinds of foxes. Yay! What did Violet get? Violet had received a Squishable red panda! I know she loves mine; I'm so glad she got one of her own! We were both so happy St. Nicolas decided to stop by our house! Do you have any special holiday traditions? How do you like to celebrate the winter holidays? 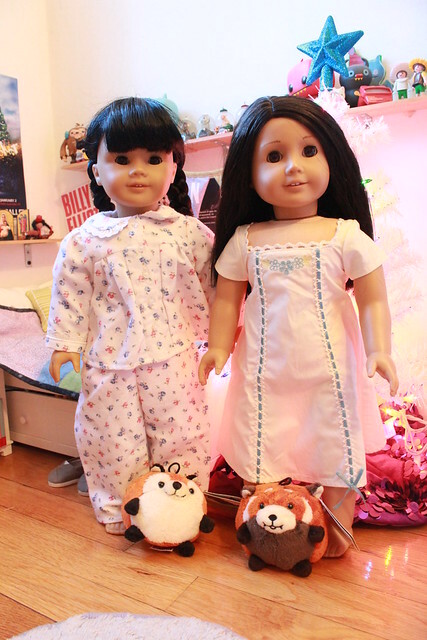 In this entry I'm wearing: Emily's Pajamas from American Girl. 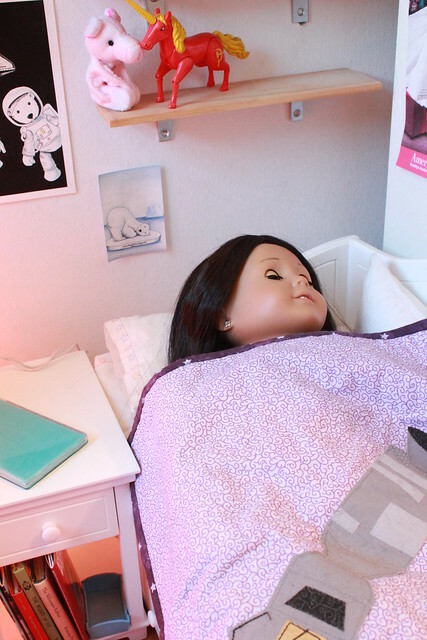 Violet is wearing Caroline's Nightgown, also by American Girl. Ohh my! You and Violet are two very lucky girls! Yes, I celebrate Christmas because I believe that it celebrates the day when my savior, Jesus Christ was born! I wonder what I'm going to get for Christmas? I'm going to send Santa a letter, what do YOU think I should ask for? I think you should ask for a new pair of shoes! Thank you Rosie! Happy Holidays to you!! Joyeux Saint-Nicolas! Juliette and I celebrate Saint Nicolas Day, too, or well, we have before. To be honest, I usually forget to put my shoe out now that I'm in America. I'm too busy studying for midterms! I think Juliette would love Violet's nightie- it looks really comfy. It's also perfect for our apartment, where we can't control the heat. It can get really hot in an NYC apartment in the winter! I'm loving the German. My dad is a German teacher at a lycée, and I actually learned German as my second language just because my dad taught it to me as a young child. English is my third, which I began learning about three years ago. German is such a great language, and it is also a great country. Since I'm an only child, my parents like to host exchange students. My family hosted a German girl named Tamina. I plan on visiting her soon. I posted a Saint-Nicolas post today, too. I received some candy as well as a pretty headband that I need to find the perfect outfit for. Saint-Nicolas isn't celebrated everywhere in France. Sabine knows a girl named Christelle who is from Paris, and she doesn't celebrate it. It's more popular in northern regions of France, which is sad, because I think everybody should celebrate. It's such a tradition in my family. The Squishables are cute. I also love the ballet posters on your walls. As you know, ballet is one of my favorite things! I also love playing the flute. Are there any good symphony orchestras in NYC? I'm sure there are. Is there anything that is primarily woodwinds? I play the clarinet in a windband and an orchestra! 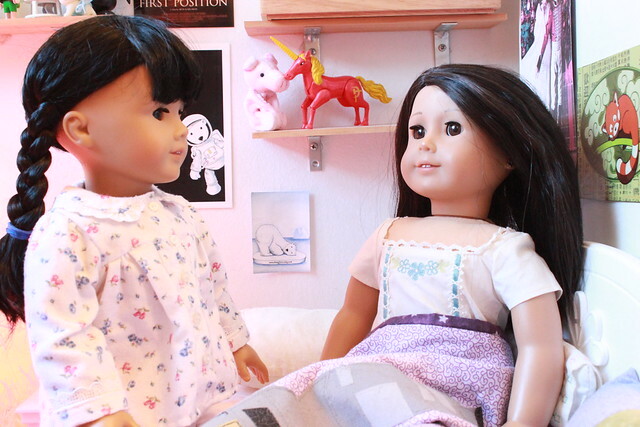 I wish American girl would make a clarinet, it would be adorable. How cool that your dad is a German teacher! My grandfather (Mama's father) is a German professor at a university. My Mama knows a bit of German, but I only know a tiny bit. There are so many good symphonies in NYC. Unfortunately, I've never been. Isn't that terrible? My family usually attends ballet or other types of dance performance. I celebrate St. Nicolas day also, I think it's lots of fun! I remember being the only kid in my who ever really did though. Your squishables are adorable, I really love violets Nightgown too! Cool! Happy Holidays to you and Rascal!